Although the exact cause of migraine of migraines is not known, researchers believe them to be linked to imbalances in serotonin, a chemical in the brain. Migraine may also be caused by the interaction between the brain stem and the trigeminal nerve which is the largest cranial nerve responsible for sensation in the face as well as motor functions such as biting and chewing. It has also been established that migraines are genetic with close to 90% of migraine sufferers having a relative who is also a migraine sufferer. Furthermore, migraine causes can also include changes in the environment, such as weather changes. Even though what exactly causes migraines has not been determined, there are several known factors which are likely to trigger migraines. In some cases it may be one single trigger which brings about a migraine and in other cases several different cumulative triggers result in a migraine. This makes it difficult to identify what could be setting off a migraine. 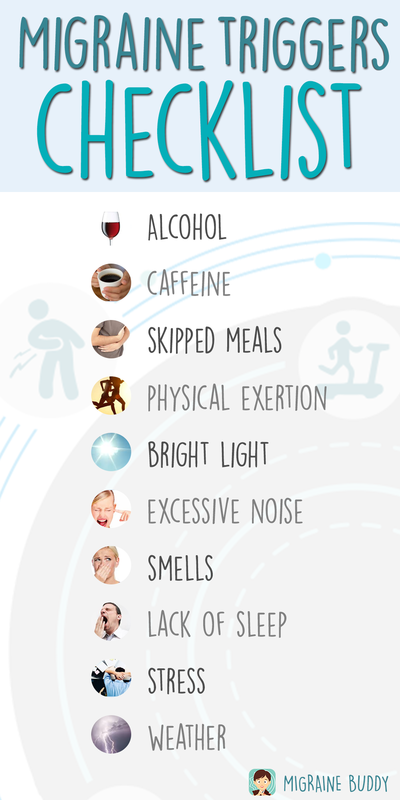 Food and drinks can often be culprits for the onset of migraines. 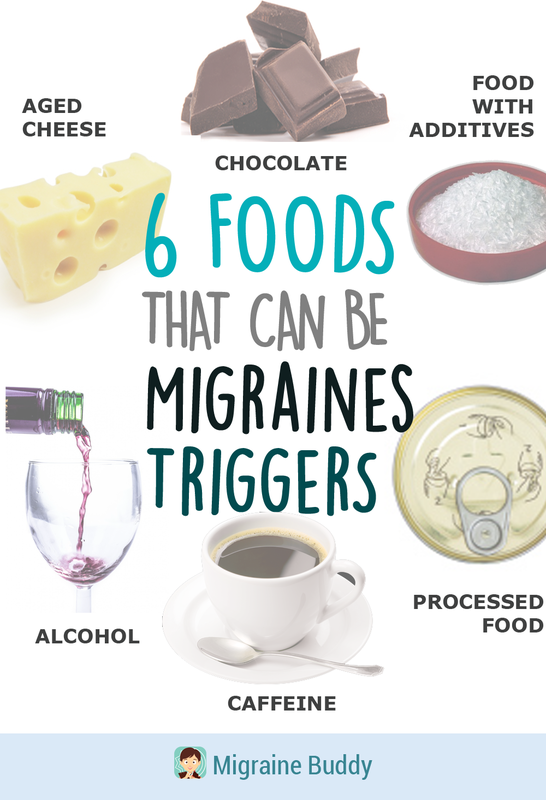 To determine a food trigger it is important to scrutinize the time between consumption of the food trigger and the migraine. It is also essential to establish whether this headaches related to foods are occasional or not. Neurologists often recommend keeping track of daily food intake to identify what may be triggering a migraine. Chocolate contains the amino acid tyramine which is a common trigger of migraines. Attention should be paid to the quantity of chocolate consumed at any given time. Tyramines forms when the protein in aged cheese breaks down over time. The older the cheese gets the more tyramines can be found in it. Processed food such as sausages, jerky, deli meat and corned beef contain nitrites, often used as preservatives and flavor enhancers, which are known to trigger migraines. Food additives including monosodium glutamate (MSG), yeast extract, hydrolyzed or autolyzed yeast hydrolyzed vegetable protein (HVP), hydrolyzed plant protein (HPP) and sodium caseinate are known to bring on migraines. Food containing additives are often found in Chinese and Japanese cuisines. Caffeine can be both a trigger for migraines as well as a relief method. Consuming caffeine in large quantities or suddenly abandoning it can be major triggers for the onset of migraines. Certain components of alcohol including tyramines, sulfites and histamines are suspected as migraine triggers. Whereas mostly red wine is a suspected culprit, studies have shown that other alcoholic drinks such as brandy and whiskey can also trigger migraines. Drinking alcohol can also cause dehydration which can also trigger migraines. Alternating alcoholic drinks with water is advised to avoid dehydration. Changes in estrogen levels and other hormone changes before and during menstruation in women are a common trigger of their migraines. Around 50% of female migraine sufferers report their migraines to be linked to their menstrual cycle. People who report weather as a migraine trigger are often sensitive to extreme hot or cold, humidity, dryness and changes in barometric pressure. Changes in weather can lead to imbalances in serotonin levels in the brain which tend to bring about migraines.